We are delighted to welcome a guest post this month from Luckley House School. This fantastic Independent School in Wokingham, is full of some exciting news for pupils and prospective families with the announcement of a new Performing Arts Theatre opening later this month and an initiative that will see each pupil attending the school to be issued with a brand new Microsoft Surface tablet. To find out more about this news and what the school can offer your children, you can arrange a visit to their open mornings on March 15th and June 9th. Full details can be found here on Mumsnet Berkshire and or via the Luckley House School website. Luckley House School is a thriving Coeducational Independent School, located in Wokingham, Berkshire, offering day and flexible boarding provision for pupils aged 11 to 18 years. The school is set in attractive grounds with excellent facilities, and at just 40 miles from London, is the perfect location for boarders. With our strong Christian ethos, we value each pupil for their unique talents and abilities. We offer an extensive range of subjects at GCSE and A level, as well as a diverse co-curricular programme. We are delighted to announce details of an exciting new initiative at Luckley House School. From September 2016, every pupil will be issued with a brand new Microsoft Surface tablet, which will make great lessons even more exhilarating! In our review of the IT strategy for the school we have decided to introduce a one-to-one scheme in which every pupil in the school will be issued with a Microsoft Surface 3 from September 2016, which will be theirs until they leave the school. In brief, this device combines the best features of a Windows based computer, with tablet technology. Office 365 will facilitate access to files and open up opportunities for collaboration. The Whitty Theatre at Luckley House School is an exciting new flexible 178-seat theatre, due for completion at the beginning of March 2016. Such a significant investment in the on-going expansion and improvement of our facilities underlines the Governors’ commitment to our fifteen year School Master Plan and further reinforces our position as a provider of high-class education. The Whitty Theatre is named after Mary Whitty, a committed Christian and the grandmother of the major donor who has made construction of this building possible. I am delighted to introduce the first of a series of guest blogs from Children’s Sports advocates, Sport4Kids for Mumsnet Berkshire. 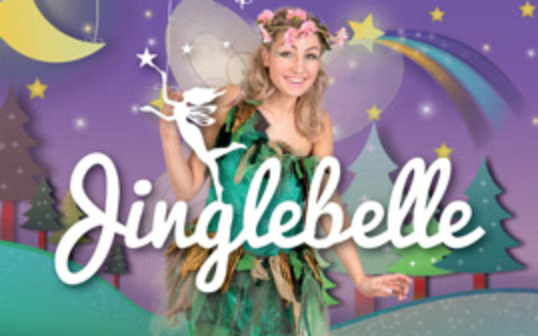 This brilliant local company offer a variety of sports and energy-busting activities for little ones, ranging from dance to football and rugby. To start this great series off, is Marie Willoughby, Head of Dance at Sport4Kids, to explain the many benefits of children’s dance classes. Dancing is so much fun, the children won’t even realise that they are exercising at the same time! Toddler and children’s dance classes will often have dynamic sessions that are fun, engaging and framed around children’s stories and characters with lots of props to play with. While dance has traditionally been viewed as a feminine activity, the rise of dance groups such as Diversity have increased participation amongst the boys – in short – dance is for everyone! It is an activity that boys and girls of any ability can get involved in, even if your child is not necessarily ‘sporty’ or enjoys sports, it’s a must try. Physical– Through pulse raising games, anaerobic exercises, skills and technique, the body will improve on energy levels, muscular endurance, strength, flexibility, balance and coordination. Body Awareness – As toddlers and children grow and adapt to the dance movements and styles they will become more aware of their body and how it can move. This will in turn improve on the control of their bodies and thus their balance and posture. Mental – Sport is a fantastic way to build confidence in children and dance can definitely help with this, as well as their self-esteem, attentiveness and even maintaining memory through mastering new skills and routines. Emotional – Finding a toddler and children’s dance class provider that offers a safe environment where children can enter the space and are able to freely express themselves either through free play, improvisation, explorative exercises or choreography challenges for our older children can be amazing. It can help them feel joy and express things that they may not be able to verbally. Toddler dance classes encourage relationship building between children, coaches and parents. From personal experience many lifelong friends can be found in such classes as you can really create a special bond especially in group tasks and creative tasks in dance. Parents can also stay and watch their child dance and witness their learning and therefor build a stronger relationship through a shared experience with their child and other parents. While many girls and boys like to pop on a tutu – most dance classes offer variety. Many are not style specific, which is highly beneficial so that the children can experience new ways of moving, new rhythms and beats. As the children advance, more emphasis will be put upon technique and skills and new dance terms will be introduced to reflect the style and to expand their dance vocabulary. Body alignment and foot placements follow the basics of ballet technique, which will guide them in executing movements safely and effectively. However, a lot of the tricks and floor skills in the older classes are breakdance based and are actually moves they would learn in gymnastics. Finding a children’s dance class that starts from toddler age can offer a creative platform for child development. Of course introducing a creative activity such as dance at any stage during childhood can assist with creativity too! We want to help build the imagination and creativity in your young ones, allowing them to have a creative input in the dancing process as they progress through a dancing curriculum. This will in turn encourage communication and confidence. Dance can introduce new cultures through style, music, costume and props that are not encountered in every day life. From Bollywood India to Flamenco Spain and African Bhangra to Brazilian Samba – there is so much to learn! Aside from providing boys with snake hips, any dance class worth its salt that hosts children and toddlers will also teach valuable skills in their sessions; skills that can be transferable to any future educational or career paths such as communication, listening skills and team work. Introducing toddlers to dance at a young age and encouraging pre-school children and primary age kids to get involved is a great way to keep healthy and encourage an active lifestyle from an early age. Music is everywhere and therefore dance can be everywhere too – just switch on the radio in your car and watch your little ones boogie away – there is nothing better! Marie Willoughby is Head of Dance at Sport4Kids. She first began performing as an athlete and rhythmic gymnast but later found her true passion in dance. Her background in dance steers towards Musical Theatre and Contemporary Dance. A garaduate of Kingston University with a degree in Dance and Social Sciences, Marie has trained in a vast range of styles including Modern, Jazz, Ballet, Street Dance, Break Dance, Indian, African, Wushu and even Sword. Discover more about Sports4Kids and the classes they offer at Sport4Kids. The countdown is finally finished and Christmas has very nearly arrived. But to make sure our family was well and truly in the Festive Spirit, we were kindly invited to Wyevale in Windsor, to enjoy one of their sessions with Father Christmas. The brilliant idea involves either breakfast or afternoon tea at their great family orientated cafes, with the added bonus of a visit from the big fella himself. We plumped for a breakfast, as I don’t think the excitement could have been contained all day, and this brilliant choice involved a full English breakfast for the adults and a children’s version too. If the tasty sausages and scummy baked beans weren’t your morning preference, there was also a continental choice including croissants and fresh juice. We arrived at 9am on the dot, excited for the session to begin and we were greeted by some lovely elves who delivered us to our table. The kindly Elf explained the run down for the morning which was to see us, enjoy a cooked breakfast, the children could enjoy the soft play facilities, then a few party games with the Elves and finally Father Christmas would arrive and the tables would take turns to share their wishes with the man in red. Well, the food was very tasty indeed. All four plates, big and small, were returned empty and devoured. Little extras adorned the table, including yummy chocolate stars with our tea and coffee. Eldest and Youngest were over the moon to spot a bag of gold coins each, plus some bub bles and best of all, some crackers for us to pull. 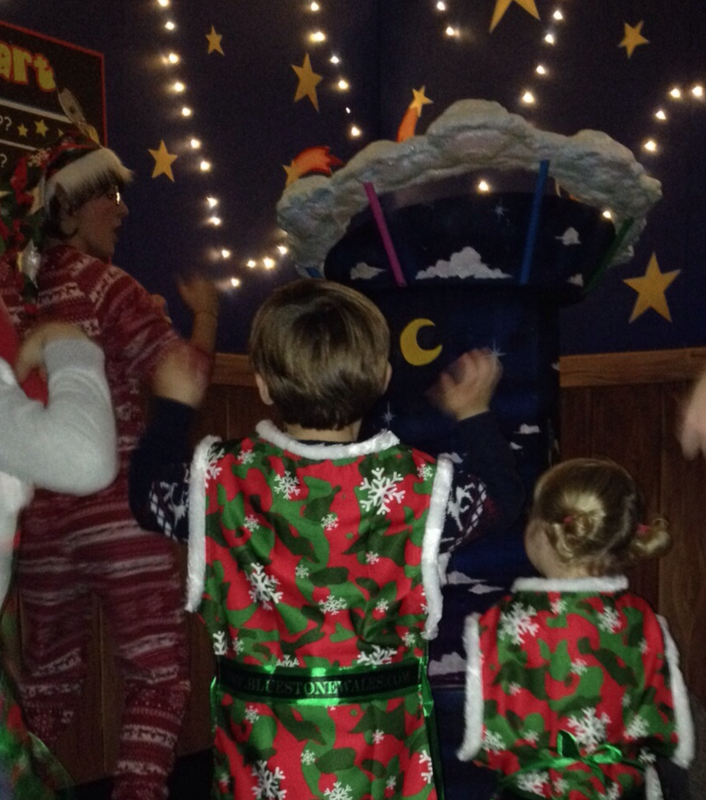 There was lots of fun to be had in the soft play and party games, especially Christmas statues! I’ve always loved visiting our local Wyevale, knowing there is a bit for everyone with the shop, the cafe and the small soft play. Which is a small enough for you as a parent to sit on the side and supervise as your child has fun without the need to abseil a thousand foam ladders to ensure their safety, and this was no different. Parents could relax at the side as the children burnt off their energy (and those chocolate coins) in the fun surrounds. The kids were delighted when Father Christmas turned up, there was lots of excited sequels and jumping. Given it may be tricky to get everyone back to the table in this excited time, Wyevale were on the case and each child was delivered a gigantic Christmas gingerbread cookie to decorate. They all received some lovely sweets and generous bag of icing to help make their trees look fantastic. We were the second to last table to see Santa, which normally would have sent my impatient pair insane but actually the cookie stopped any of that completely in it’s tracks. Santa, was lovely. He took the time to listen to each of my children and have a good joke with them both. When Youngest got spooked at the idea of a photo, he welcomed us all as a family to sit in and have a photo taken together to calm her nerves, which worked like a treat. The children were also invited to pick their own toy, from a varied selection adorning the trees around the grotto. Eldest leapt at the chance for a super cool monster truck and Youngest was very smitten with a purple rag doll. We absolutely adored our breakfast with Father Christmas session at Wyevale and would throughly recommend it to all, for those looking for an opportunity to make the most of those magical visits in December. Of course, it’s all a bit too late for this Christmas but be sure to keep in mind for next year, as it’ll be December 2016 before you know it! With many thanks to Wyevale for their kind hospitality and offer of a visit to the Father Christmas Sessions. We were generously offered a free visit in return for an honest review. All opinions and reviews written here are that of my own. We are really happy to be working alongside the NHS to explain more with local families on just how important vaccinating your little ones this winter against influenza really is. The annual fight against flu is well underway and parents are encouraged to get their young children vaccinated against the virus. Children aged two, three or four, or in school years one and two, are all eligible for a free flu vaccination on the NHS. The child-friendly nasal spray vaccination means children can avoid having the dreaded injection and instead have a quick, painless squirt into each nostril. Children aged two to four years old can visit their GP for the nasal spray vaccination; while school nurses are running clinics for children in years one and two. “The nasal spray vaccination is a quick, painless and effective way for children to be protected without the need for injections. “This year is the first time that all our youngest primary school children are eligible for the free nasal spray vaccine making this the largest school-based vaccination programme in England involving more than 23,000 children in Berkshire. Mother of two, Sarah Rayfield booked an appointment for her three-year-old son Joseph, and daughter Olivia, aged 4, at her local GP surgery. We were incredibly lucky to get the chance to go down and enjoy Bluestone back in May this year and knowing what a fantastic time we had then, we couldn’t wait to whizz over again when we saw that our favourite family get-away in Pembrokeshire, were hosting some very special Christmas Events and had been transformed in to a place jam packed with family festive fun. The gorgeous landscape of Bluestone with it’s wooden lodges, rolling hills and woodlands lends it’s self beautifully to that of a winter wonderland (although being the beginning of November, we didn’t find ourselves surrounded by snow but instead, rather a lot of rain!) Since our last visit, the site had been transformed. 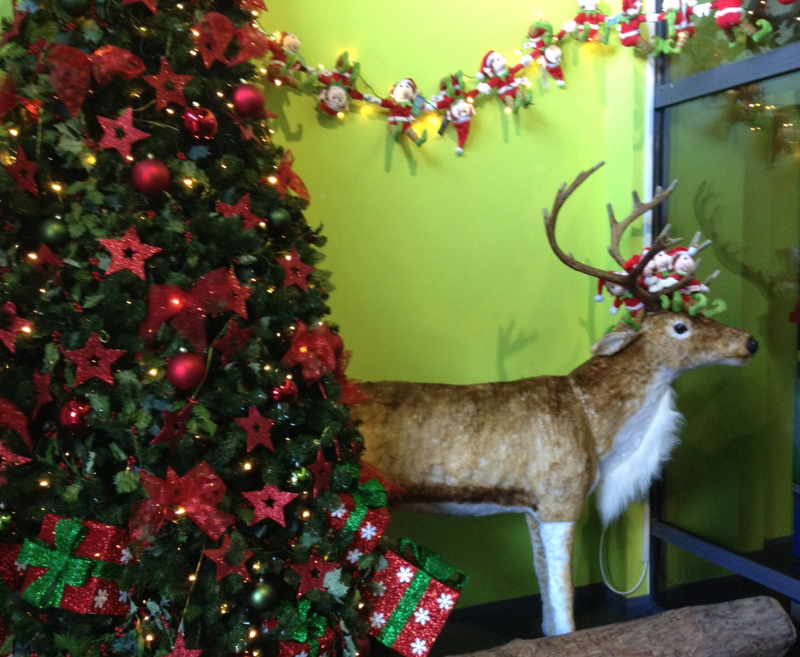 The activity centre was swathed in green and red, the village adorned with Christmas touches and everywhere had a touch of Santa’s sparkle. Arrival, an Elf Welcome Party and Fish’N’Chips. We made sure to book ourselves in for the early check in. Being able to drop our things straight in to the cabin, meant we were free to get started on the fun as soon as possible. There was no choice or hesitation for our kids when it came to where first. Before the bags had even hit the floor, they were trying to drag us back out to the Adventure Centre. When we got there, we were in for a big surprise. 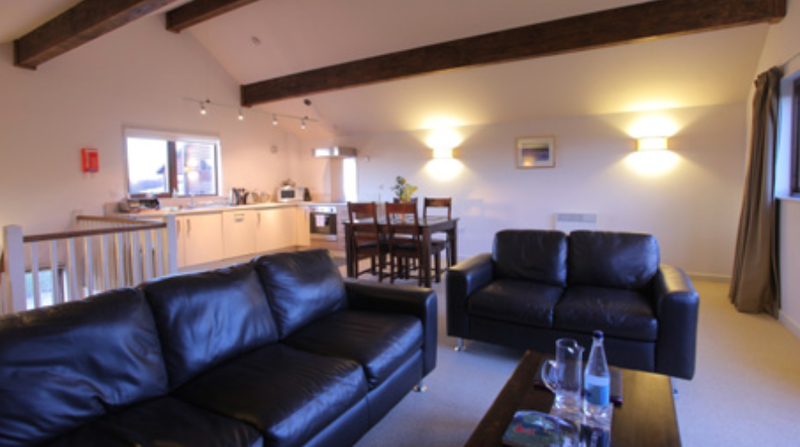 The Adventure Centre had been completely transformed. The reception had become like Santa’s Grotto. Twinkling lights and snowy touches were adorned across entrance room, red and green canopies swirled across corridors and gigantic trees dotted about the adventure centre. The kids were full to the brim with excitement and I can’t deny that my husband and I were a little giddy too. After wearing ourselves out on the giant climbing frames in the soft play, we ventured upstairs for an Elf Welcome Party. A fun kids hour that included good old fashioned party games and dancing. What a great start to the adventures! After this, we headed back towards our home for the weekend – a Ramsey Lodge in Forest View. A brilliant upside down cabin with two beautiful big bedrooms and ensuite bathrooms on the ground floor plus a gorgeous living space upstairs with a gorgeous view of the lake and village. Before we made it back though, we did decide to pull in and pick up some freshly cooked fish and chips from the new take out van for a low-key relaxed dinner on the first night. 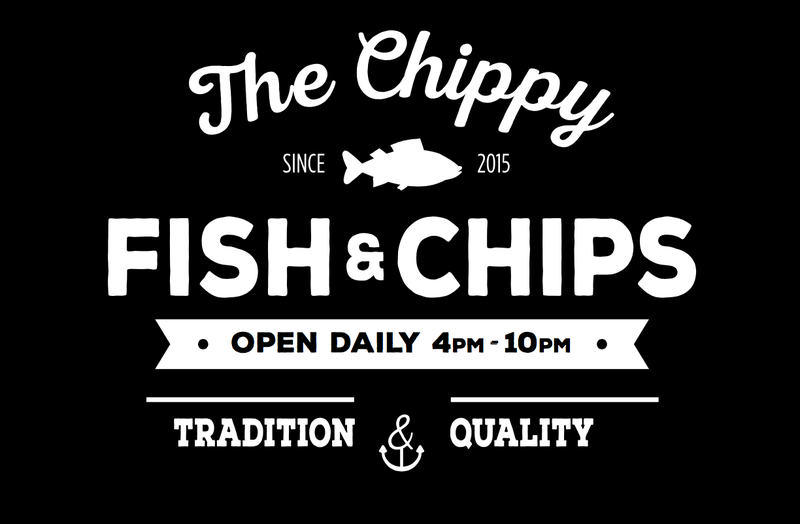 This choice was spot on as we all loved every moment of sitting upstairs in our gorgeous lodge, the kids unwinding and tucking in to our gorgeous hot chips and fresh fish. 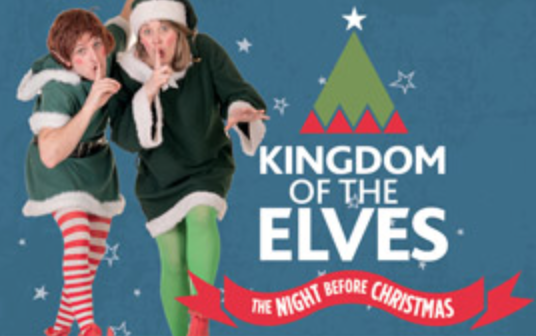 We made sure that Kingdom of the Elves, Bluestone’s title Christmas experience was our first booking in to the exploration of festive activities on offer. So Saturday morning we could be found eager and excited ready to begin over at the adventure centre. At reception a lively Elf was ready waiting to greet us, she then adorned us all with some bright red elf cheeks and taught the kids how to perform the secret elf high five. Through in to the centre, our group (of about 20 or so) was greeted by a brilliantly cheeky elf called Little Buddy. Little Buddy got the children rounded up, sprinkled us all with some shrinking dust and led us through the magical tunnel in to the Kingdom of the Elves. The experience worked the children being given a card style passport where they were to go and meet the various Elves that help get Santa through Christmas night across a house. In each room they would then receive a stamp before moving on to the next. After Little Buddy had explained all this, he handed out the cards and dressed each child in their Elf tunic and we were off. 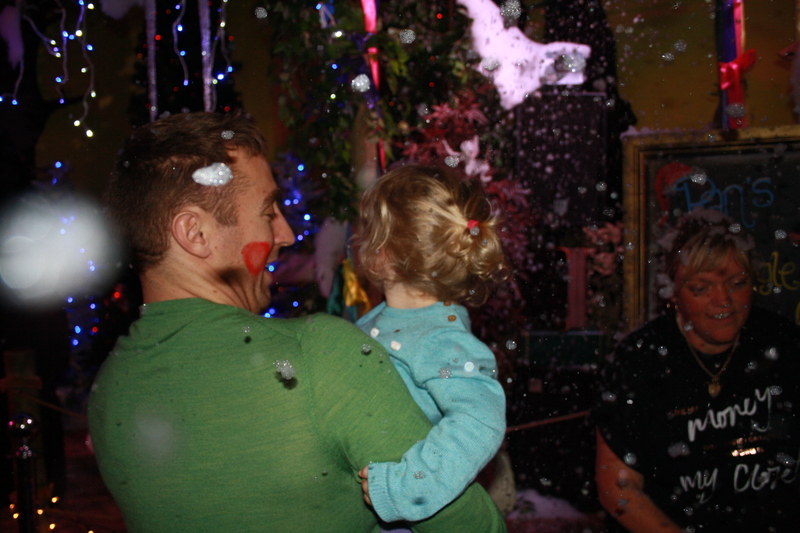 The kids giggled and jumped their way through several rooms, meeting an array of wonderful and brilliant Elves. Over the various stops, they helped tidy up the lounge with a fantastic cabaret style Elf, kept a gigantic pet cat quiet and learned how to cast a magic sleepy bedtime spell in the bedroom. 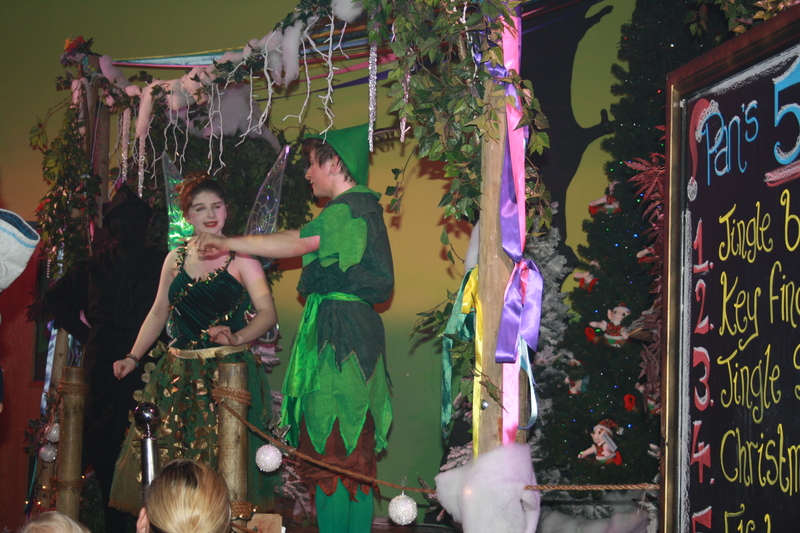 Their favourite by far however was meeting the Chocolatier Elf and making a tasty choccy snowman gingerbread biscuit! The Kingdom of the Elves experience was just over an hour and a half long and the kids emerged absolutely entranced with the magic created. 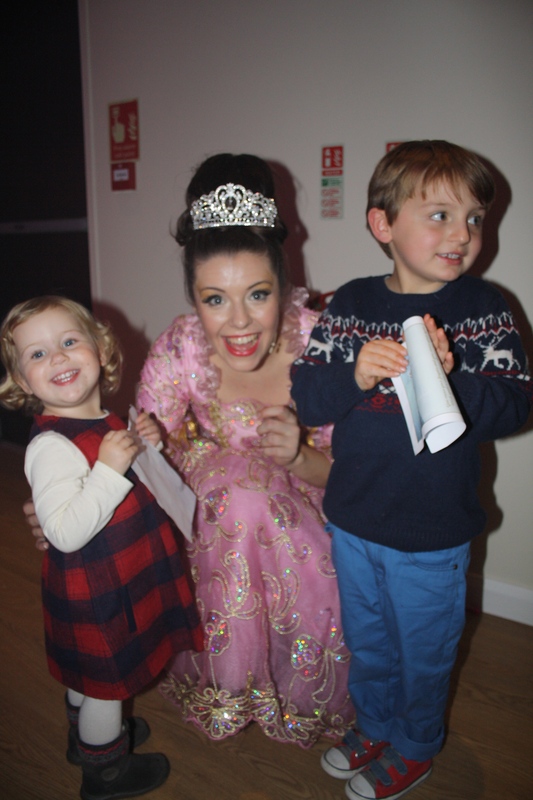 We absolutely loved the Bluestone Panto. Unashamedly our family loves a good pantomime and we go every year to one in Berkshire. So we were quite excited to add this to our itinerary. After the jam packed morning, I was however nervous how it may go after seeing how worn out the kids were from their time in the Kingdom of the Elves. I needn’t have worried. Tired or not, the brilliant performance in true pantomime style had our children (and everyone else’s) entranced from the minute the curtains opened. 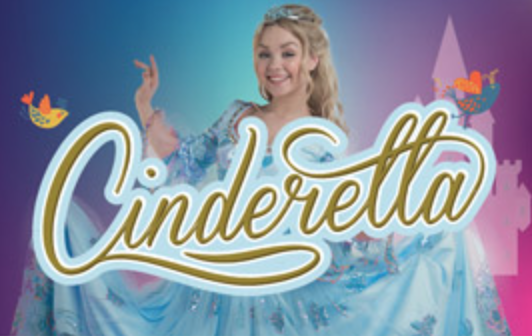 Set in the newly built village hall, Cinderella featured a fantastically fun cast that brought the stage to life. The beautiful Fairy Godmother and Cinderella had Youngest’s eyes alight with admiration, Eldest thought Buttons and Prince Charming were ‘super cool’ and the Ugly Step Sisters had my husband and I giggling like naughty school children. The performance lasted an hour and featured brilliant Panto classics with shouts of “he’s behind you” and fun audience boos and cheers but it also contained more modern nods with a great social media scene (and co-ordinated outfits from the sisters!) that encouraged the audience to tweet with the #BluestonePanto for the interval style shout outs. 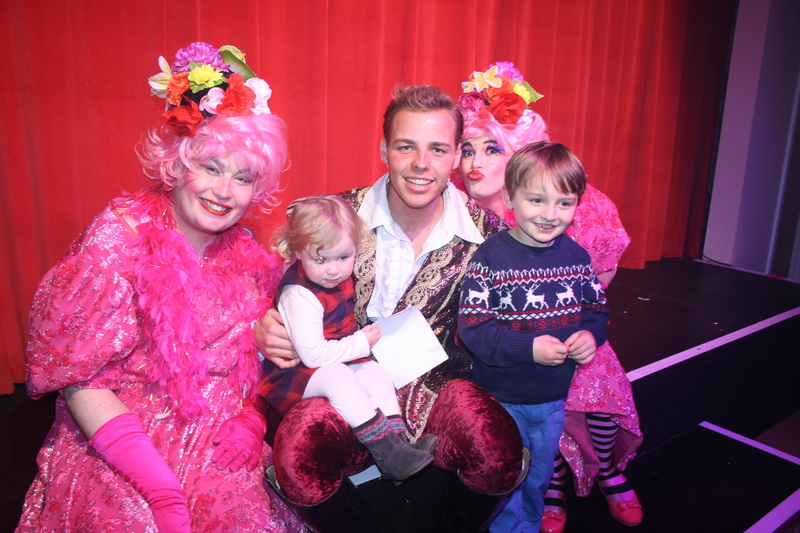 We loved, loved, loved the pantomime and the kids especially loved having the chance to have their photos with the stars after the curtains closed. This was our third and final booked activity for the Saturday and the kids were still going strong. 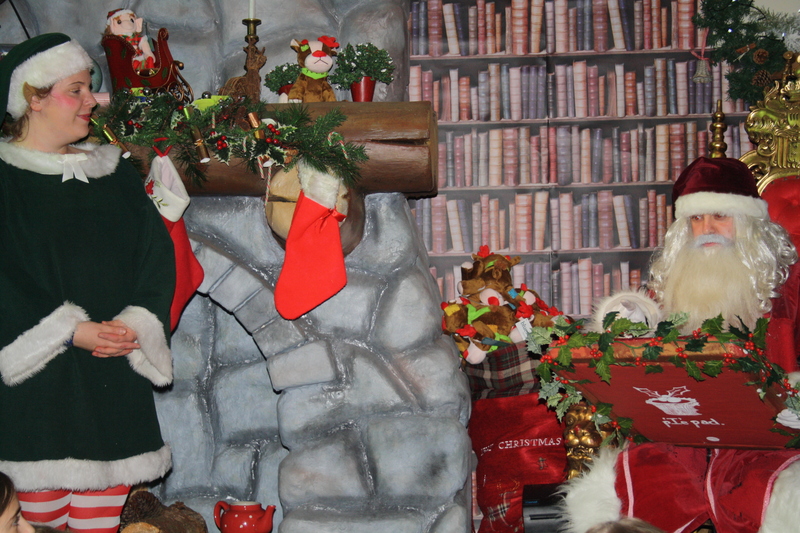 Story time with Santa was a special meal located in the Farmhouse Grill. 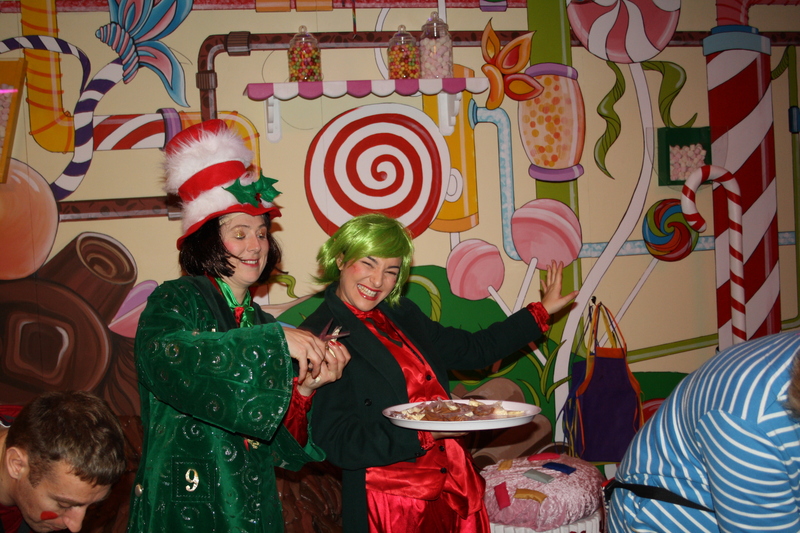 We all got to enjoy a quick Christmas Roast and Jam Roly-Poly pudding before being whisked in by two Elves to a magical room for a special Santa meet and greet experience. The room was gorgeously decorated with cushions galore for the kids to cosy in to and the North Pole’s famous reindeer faces peeped from the back wall. It wasn’t long after joining the room that the main man himself Father Christmas arrived and the children, all snuggled down to hear a lovely story about toys from Christmas past. The story and a few fun activities down, the children then had the chance to go and have a quick meet with Santa and pass on their Christmas wishes. Making sure the children waiting weren’t bored or restless the Elves kept them distracted with activities to make Reindeer food for Christmas Eve and tags to write down their Christmas dreams. After a lovely meet with Father Christmas and Eldest confusing the situation by asking for an advent calendar for his Christmas present, we tucked our two up and swept them home, exhausted from every part from their day of magical Christmas fun. Sunday was a bit slower paced than the jam packed itinerary of the day before. After a fab morning swimming over at Blue Lagoon (every bit as fun as our last trip), we headed over for a Christmas Messy Play session upstairs in the Adventure Centre. Awaiting us was tables of delightfully messy and gooey fun that brilliantly captured our children’s imaginations plus two very lovely and fun members of staff to lead the session. The tables on offer were: Christmas cooking ingredients (cocoa, marshmallows, sprinkles, dough, flour) Reindeer Poo (straw and glittery chocolate runny mousse!) Penguin Pool (dozens of little penguin models in bright blue water) and Reindeer Food (oats, glitter, raisins, carrot shreds). 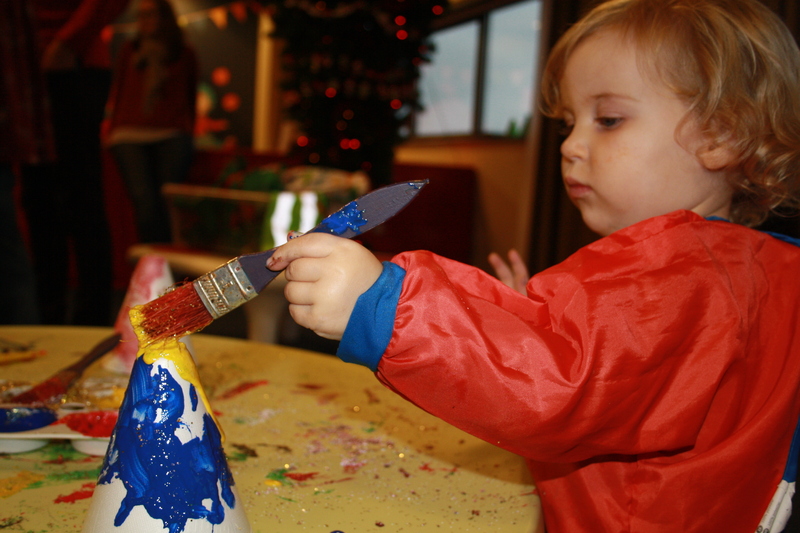 There was also a fun painting table to transform cones in to bright and sparkly Christmas trees. We knew sort of what to expect from this activity having done the Circus one before on our last trip but this was a brilliant session that both children absolutely adored. In fact despite being in it’s temporary location of being in the upstairs young soft play room, which drew many of the children over when they’d tired of the messy play – it managed to maintain Youngest’s attention to the very last minute and saw me having to pry her tearfully away from the beloved Penguin Pool. Due to school and work, we planned to check out late on the Sunday night rather than the Monday morning, so we could whizz home whilst the children slept. So before we left, the perfect last activity was the Jinglebelle Dinner Show. 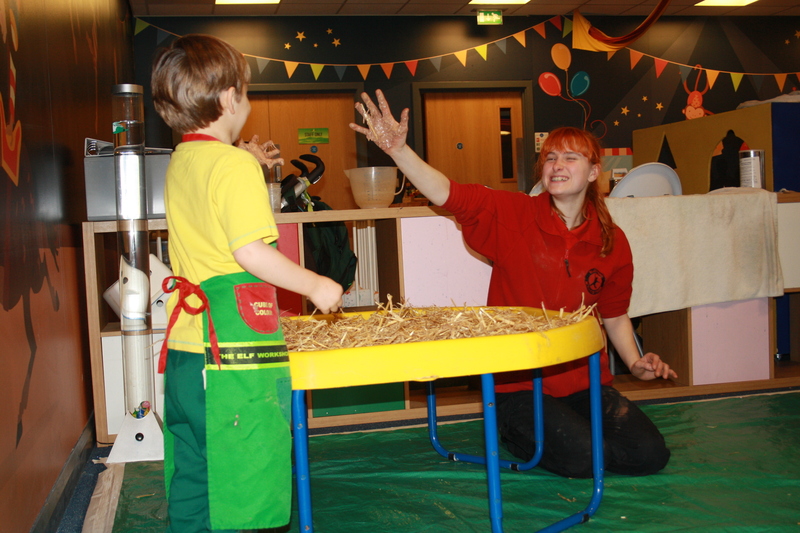 A fun interactive dinner show for the family based up in the magical surrounds of the Wild Woody Cafe. The brilliant characters Jinglebelle, Peter Pan and his Shadow, had the kids up and dancing and running to and fro before getting everyone settled down to enjoy a tasty Christmas dinner. Youngest is full swing in to Princess and Fairy adoration and so she took great delight in jumping up on her chair and calling for Jinglebell every time Pan’s pesky shadow danced his way around the dinner tables. 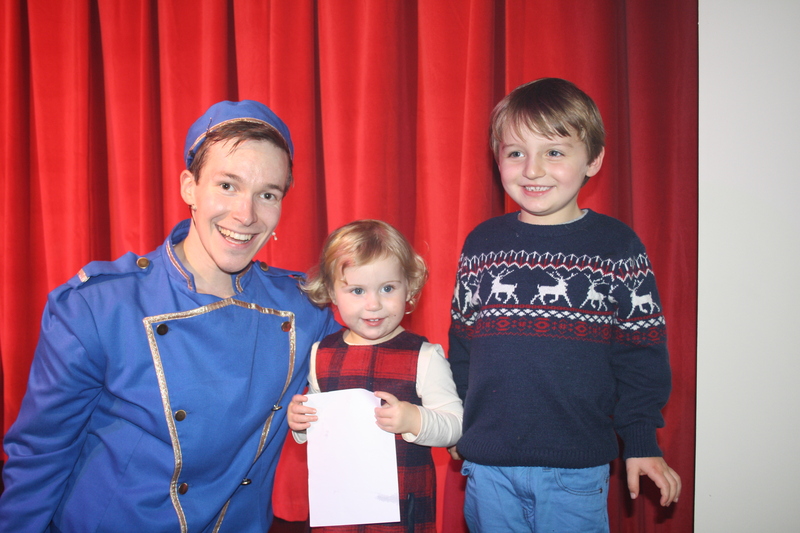 The show was the perfect end to our Christmas stay and we couldn’t have asked for a better start to the festive season. Due to the short nature of our stay, there was still exciting parts of the Christmas shenanigans that we managed to miss! Our timings with the Jinglebelle show meant we missed the Village Christmas Light Show and there was also Christmas Songs being performed over in the Village pub the Knights Tafern. Fingers crossed if we return again, we’ll be sure to make these a must do. We had an absolutely incredible time with our young pair at Bluestone’s brilliant Christmas stay and only wished we’d had longer to stay and enjoy the fun. The accommodation as always was superb, clean and sumptuous. The facilities were spotlessly clean despite the venue being completely fully booked and on top of that, the staff relentlessly wonderful. Every single staff member was genuinely lovely from the friendly staff in the Village Bakery to the entertainer from the Jinglebelle show, who when leaving at the same time as us, went out of his way to pull over and make sure we were OK whilst we were doing our Sunday night checking out and spotted that we couldn’t see anyone at the arrivals desks. These are the things that make Bluestone so special and for us, completely above and beyond the other family holiday resorts found in the UK. 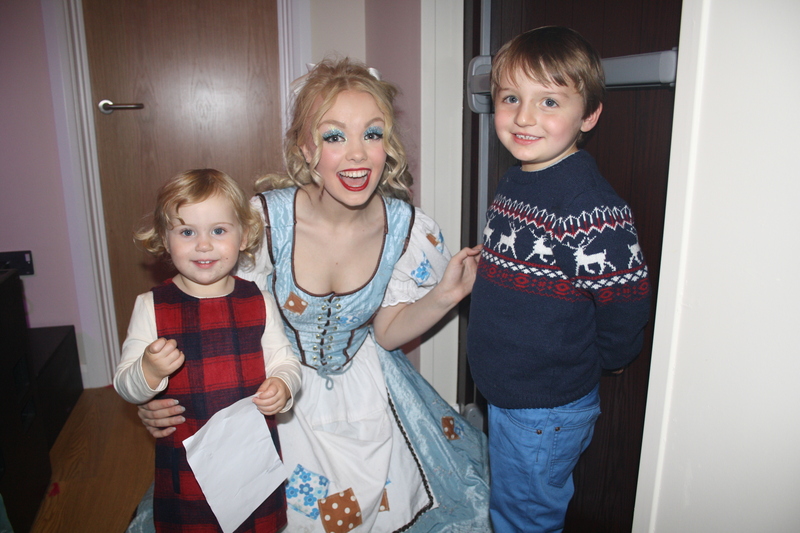 Thank you to everyone at Bluestone for such a wonderful and magical Christmas trip! 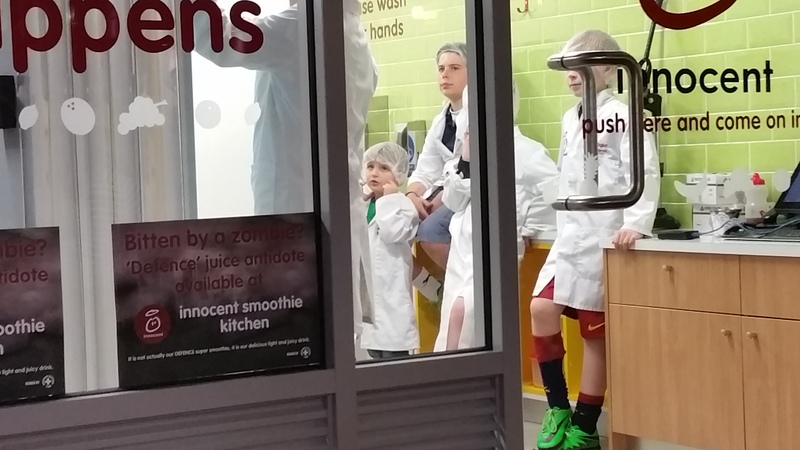 Spooky fun at KidZania London! 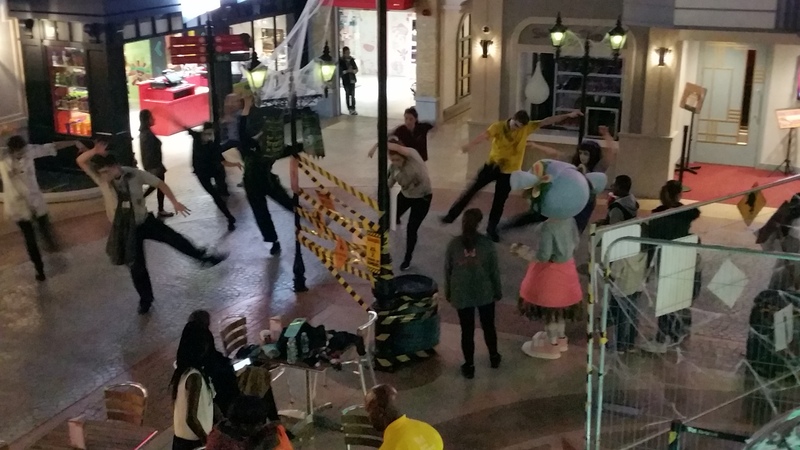 We had the absolute pleasure of heading to Westfield’s new star attraction KidZania this weekend, in honour of their half term special event and Halloween. Our trip is not easy to squeeze in to a simple few paragraphs, with just so much fun to fit in, so we kept our notes in diary mode! 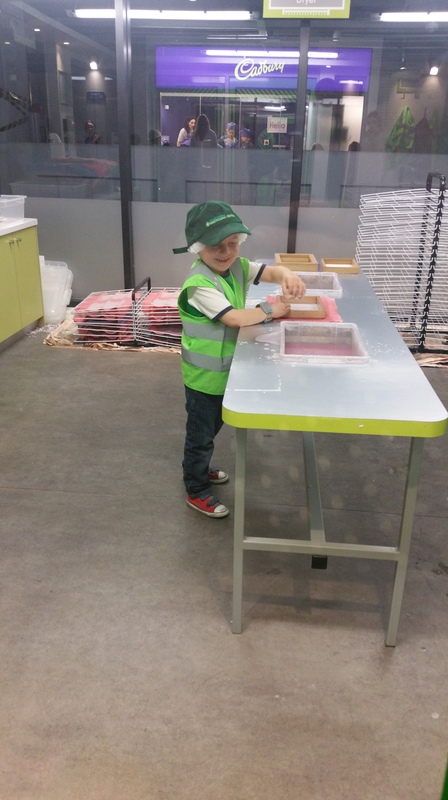 Eldest is 4, so KidZania was something I had become aware of but the concept had seemed very senior and something I had questioned being value for him. Well I couldn’t have been more wrong. 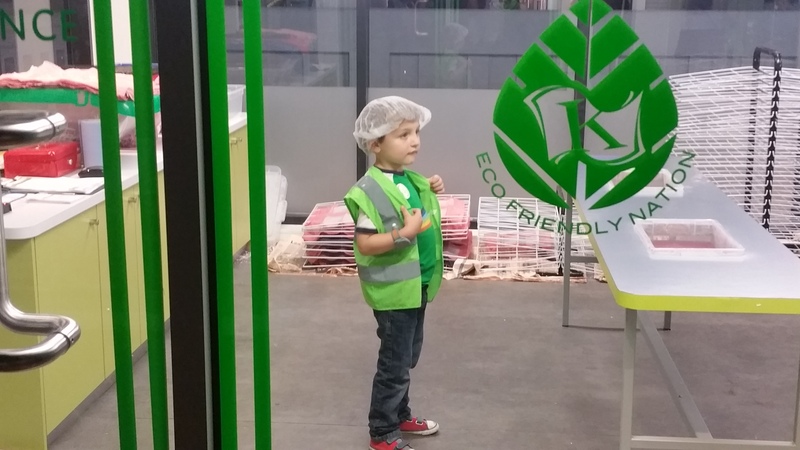 When the review opportunity reached my inbox and I discovered the venue is designed to suit children ages 4 and up, I was absolutely delighted and couldn’t wait to get started. The process to get tickets was smooth and the staff were helpful at every encounter. KidZania and Westfield Shopping Centre is located in Shepards Bush, London. From central Reading to Westfield’s car park took us exactly an hour, so a bit of a drive in the car but nothing to cause too many a cries from the backseats! Parked up and we found KidZania effortlessly, despite this only being our second trip to the mammoth shopping arena. The carpark was well signed, giving us clues which area was the best to park in for KidZania. Once in the mall, up on the top floor was a gigantic entrance located right next to the lifts and our whole experience began. 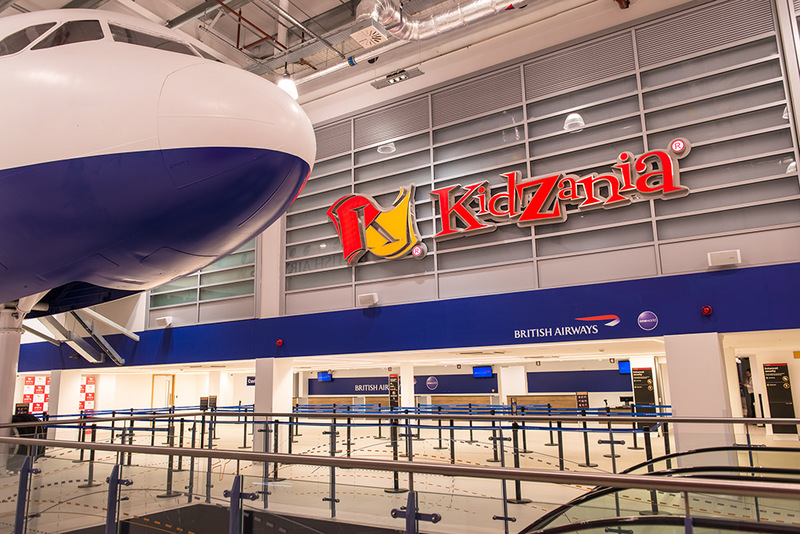 The minute you step off the escalators, the KidZania world begins. The clever entrance design is based upon an international airport and with British Airways branding, plane and uniforms all around, Eldest was a buzz with excitement. At checking in, myself and Eldest were fitted with a wristband watch style device that was set to be the key for the whole event. These ingenious wrist gadgets were tenfold with their purposes (to check in at each job, decked whether they’d done a KidZania Degree course etc) but the primary reason exists for security. As we were logged in, our wristbands were each connected and it was reassuringly clear that in no way could Eldest depart the venue without or with anyone but myself. Not only that but the watch has the ability to act as a tracking device, should I have lost him in the venue, then not to panic, dozens of self scanning screens dotted about the venue and also the staff would have been able to find him in a heart beat thanks to this whizzy little gizmo. 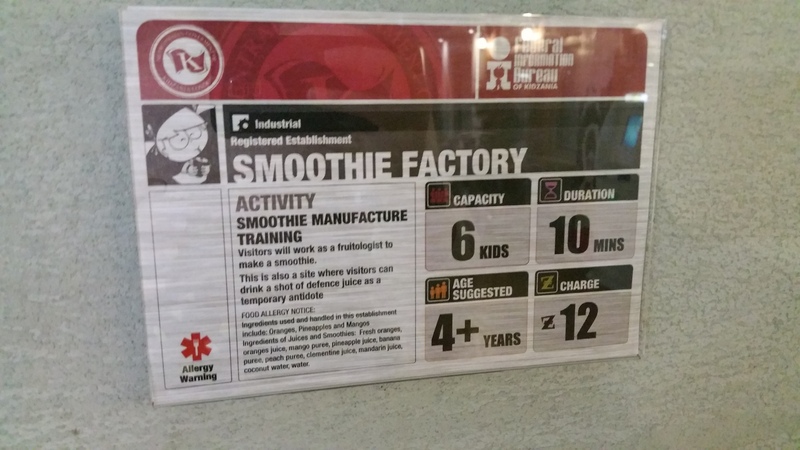 After our bands were fitted, the process was explained about how we could fill the next 4 hours in KidZania. Eldest was handed a wad of KidZos, the currency in KidZania, we were given a map and set on our way. We were kindly given a tour of the new land we had just crossed in to and we began to get our heads round how this magical place worked. Eldest’s 50 KidZos was the start of his money and it was now his choice how that could go on. Around the ‘town’ are dozens of activities for children to try their hands at and experience. Some of these offer KidZos payment and others cost KidZos to participate. Set in the centre of the town square, was also the Department Store. A shop full of toys and goodies, that accepts only KidZos currency – so, the more jobs you do, the more money they earn and the more loot they can purchase in the department store! 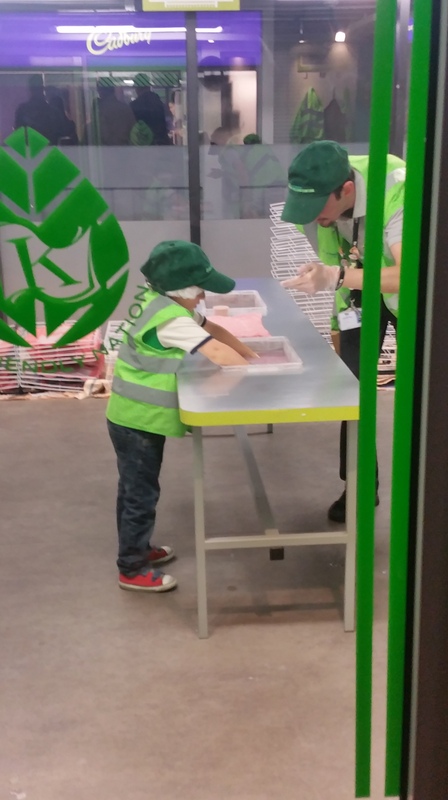 Around the tour, it became shockingly clear I’d completely underestimated KidZania, this place was incredible and my son was nothing shy of mesmerised as we walked about adding to a very long list of all the things he wanted to do. s a handy poster. Detailing the age suitable, the amount of children allowed in each session and the session length so you know how long you could be waiting and most importantly whether you’re spending or earning those precious KidZos!) As he went to go through the door, the host explained parents wait just outside the door. However with all the noise and hubbub, Eldest became a bit tearful and retreated back outside, declining the chance the go in. As we went f or a walk about to get our bearings, I spotted what could be a golden ticket of an activity. In front of us was ‘Air Conditioning Engineer’ and some soft play style climbing entrances and tunnels to climb through. Eldest completely understood I couldn’t come in and whizzed straight in to have his high viz jacket and builders hat uniform popped on. That was it for Eldest and there was no turning back, he understood the experience and leapt in with both arms open. He whizzed about the air tunnels several times and when done, joyfully collected his 6 Kidzos salary. As I mentioned above, the air conditioning paved the way for our day and immediately after this Eldest was keen to head over and participate in the Smoothie making experience. Sat outside the glass room, I watched as he whipped on his lab coat and hair net and joined in as he discovered where various fruits come from and how the whole smoothie process happens. This experience came at a cost of 12 KidZos but Eldest happily pottered out holding his own carton of Innocent smoothie. We took this as a chance to grab a quick pit stop and enjoyed a delicious sandwich and cake from the coffee bar upstairs too. One of the star experiences is most definitely the Fire Brigade. So this is where we headed next. After queuing up and getting uniform on. The kids were treated to a quick video on fire safety and then it was all aboard the fire engine as the town’s hotel was ablaze. The children excitedly clambered on and whizzed across the venue in the truck where they had the opportunity to spray water hoses and put out the fire with much glee. At this point my Husband and Youngest joined us. Originally with not much to gauge on how the site works with younger ones, we’d planned for them to pop around the shops and lunch whilst we were busy in the venue but after the tour I discovered there was in fact a generous area dedicated to the little ones in the early years area. 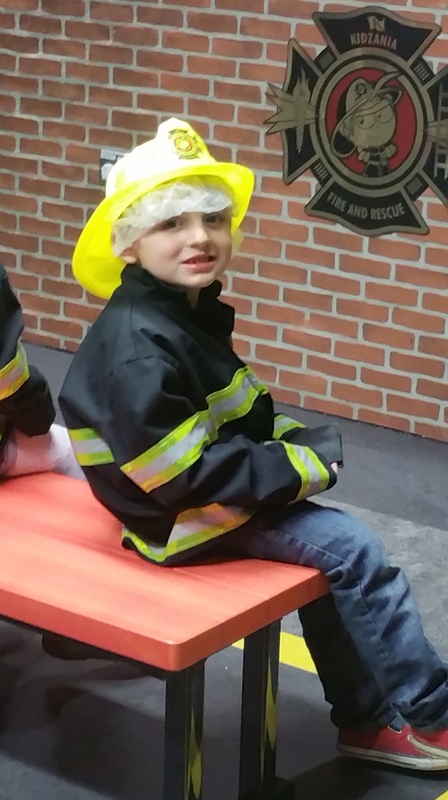 So after updating my husband, they joined us in KidZania and Youngest and I left my husband to watch the last of the fire brigade whilst we went to explore the Early Years House. This fun role play house kept Youngest amused for some time. 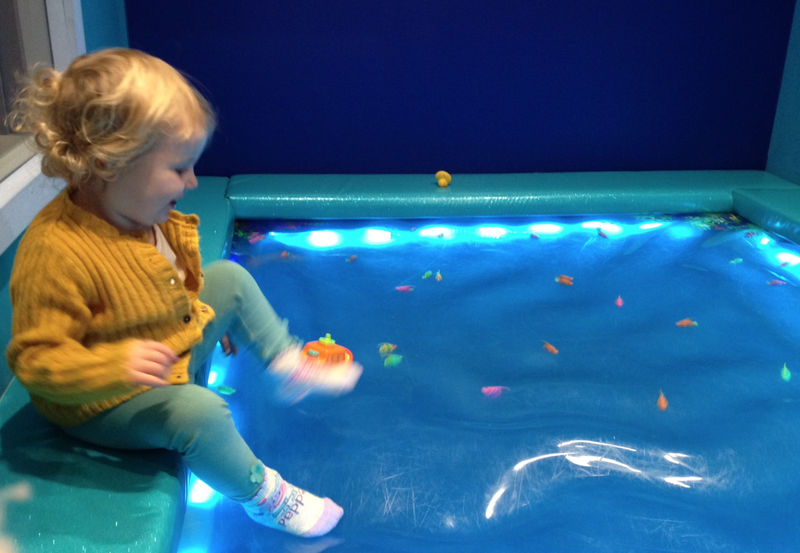 She especially enjoyed the bathroom with it’s waterbed with sensory lights and floating fish. The kitchen however is where we spent most of our time, cooking pretend meals and jotting things down on the blackboard. Across from the play house was another early years room, crammed with plenty of goodies including piano, colouring tables, dozens of puzzles and baby toys galore. Youngest was in her element! 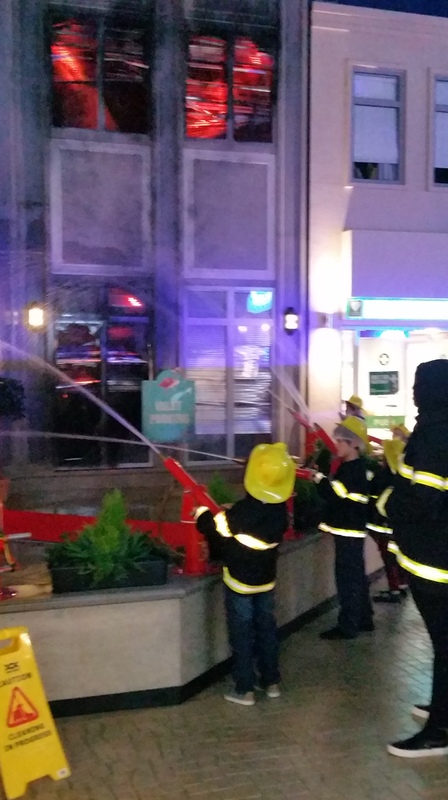 4.30pm – We are the bell ringers of Kidzania! Back with Eldest and we tried once or twice to get in to the ever so popular Cadbury’s experience but Eldest’s patience wasn’t quite up to the long queues, and so we went on an explore for another session. He was very happy to discover the Clock To wer job. 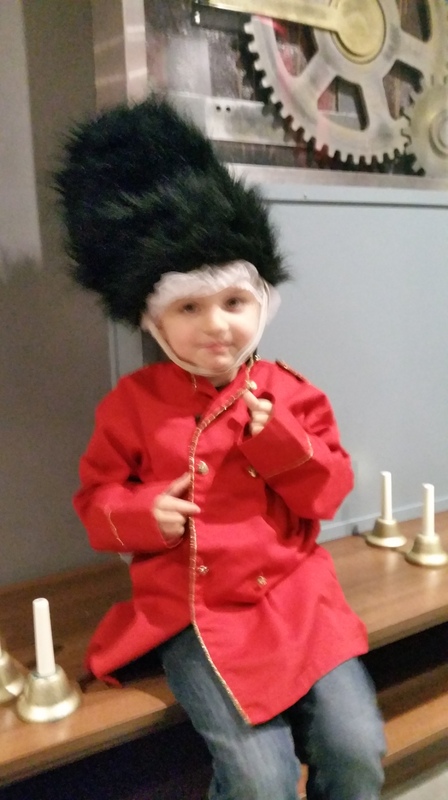 After some training, he donned a beautiful red jacket and full faux fur hat, made his way out to the town square balcony and with the host’s help, announced to all with a loud bell that ‘they were the bell ringers of KidZania!’ they then played a merry tune and came back inside, another 8 KidZos earned! 5.10pm – Back where we began. After our bell ringing and then another whizz or two around the air conditioning engineering, we found ourselves drawn back to where we began. The recycling centre. As a bin truck loon, this was a fascination for Eldest and now in full confidence he jumped straight in and happily greeted the host who kindly remembered him from before. Through the window I watched as he learned how to mulch the paper down and in the mould recreate a new sheet and set it out to dry. All smiles as he pottered out with his earnings. 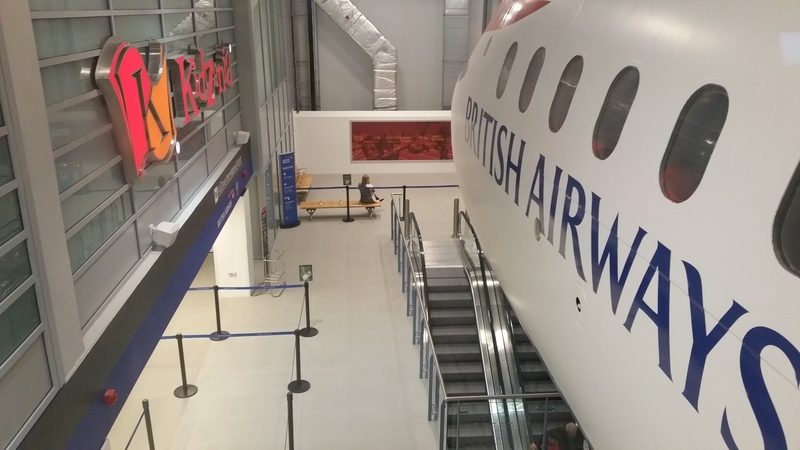 The gigantic British Airways plane looming over the entrance had also been looming on Eldest’s mind the whole way around. He was eager to get on and this was certainly a very popular activity, so the wait was long but Eldest was keen to hang it out. There are two choices one to be a pilot (costing KidZos) and one to train as cabin crew (earning KidZos). With the queue being ever so slightly shorter for Cabin Crew, that’s where Eldest popped himself in the line. The wait was definitely worth it, although this is the one place in the whole thing that I’d have a suggestion for improvement, with so many parents waiting about outside, an airport style waiting lounge for parents or even a few seats would have been really appreciated, as our feet wer e very weary by the end of this activity. After Eldest had been in the activity doing his training for 10 or so minutes, families of cabin crew were called through to become passengers aboard the flight. We were welcomed by our children crew and took our very life like seats aboard the plane. As parents, we nearly swooned as we watched our little guy lead the motions of the safety display with arm signals, belts and life jackets. He then took a seat as other adorable cabin crew came round and offered us some refreshments and collected rubbish with their hostess trolley. Youngest, also a passenger, was very much in the belief this was a real flight and was rather dismayed to find her croissant and grapes were plastic! 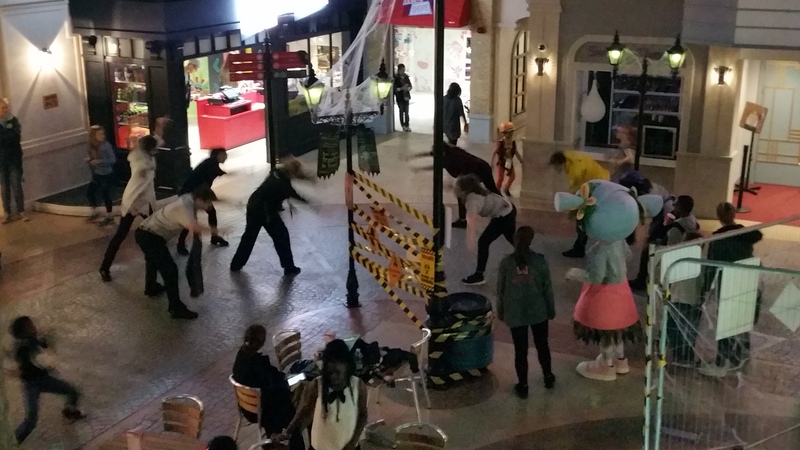 Throughout our entire session at KidZania was also a brilliant Halloween theme. The town was suffering a zombie epidemic! Fun zombies roamed around the setting and rather than anything too terrifying, Eldest and Youngest found it hilarious as they watched as Zombies were shooed (and even swept!) out of various activities and the cafes. The zombies would scarper quick upon hearing a nursery rhyme and back when Eldest had been a bell ringer for the square, he’d taken great delight in them all shooing after hearing his bell playing a sweet tune. The Halloween event also had a wealth of additional activities. Children could get free zombie face paints, they could undertake a fun multitasked activity around the town to help create an antidote for themselves and best of all, an hourly Thriller Zombie flash dance in the main square. We thankfully got a great view of this, when up on the balcony for the bell ringing and Eldest watched in awe as the Zombie leapt and danced about. This incredibly fun Halloween event is now on and running up until the 1st of November and is a real half term entertainer. I wouldn’t hesitate to recommend this brilliant venue to anyone. We barely covered a quarter of the jobs and activities and the full list on offer including police, surgeon, beauty salon, dentists, radio station, Gourmet Burger Kitchen Chefs and so many more, mean that we could visit again and again and Eldest still wouldn’t have had enough. I’m now trying to figure out how he could ask to have another go on his Christmas Wishlist. I also was sad to have not got a chance to poke my nose in to the parent’s lounge. A relaxing looking space that gives parents a great chance to relax as older kids run around the town. We are very grateful to KidZania for offering us complimentary entry for Eldest and I, in return for a honest review. We had an absolutely fantastic time and cannot wait to visit you again! 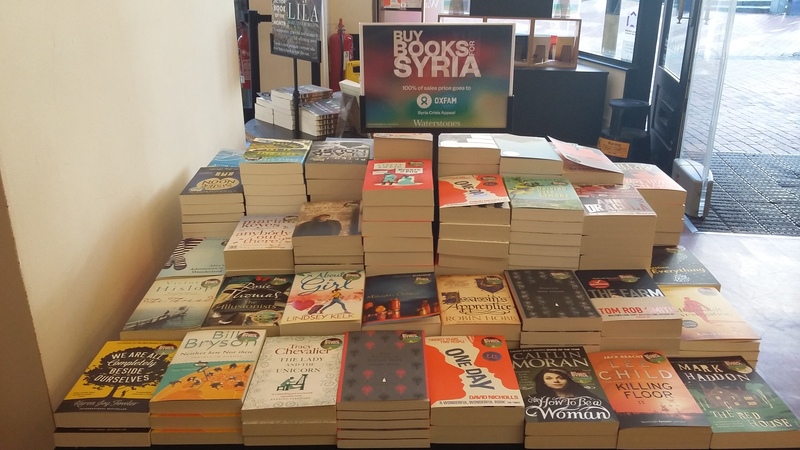 Mumsnet Berkshire and Reading are proud to be sharing the details of the Waterstones wonderful charity book sale in aid of the Syria Crisis Appeal. For more details on this great event and cause, please see the full details below. 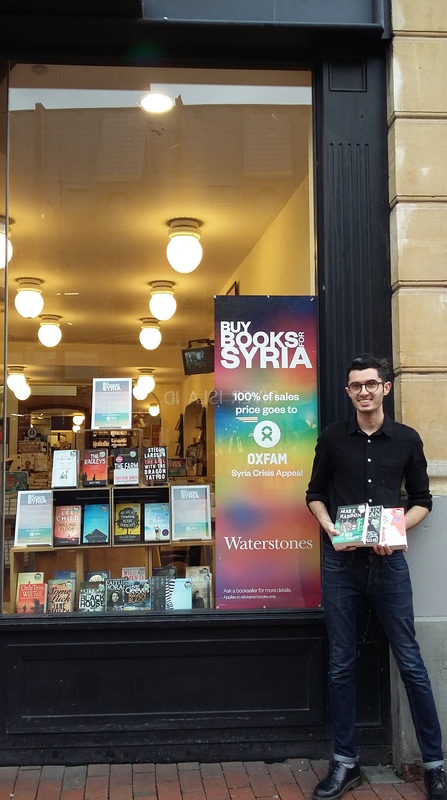 Waterstones READING BROAD STREET and ORACLE stores are proud to announce its ‘Buy Books for Syria’ campaign, with the goal to help raise one million pounds for Oxfam’s Syria Crisis Appeal. Waterstones READING BROAD STREET and ORACLE stores are joining Waterstones bookshops around the country to sell a selection of books donated by publishers by bestselling authors such as Philip Pullman, Hilary Mantel, Neil Gaiman, David Walliams, David Nicholls, Victoria Hislop, Lee Child, Salman Rushdie and Caitlin Moran, and every penny of the full retail price of each book sold will be donated to Oxfam. Authors and UK publishers responded generously to Waterstones’ request for book donations. These books will be stickered with ‘Buy Books for Syria’ and will be displayed in all Waterstones shops. Author support includes Jeffrey Archer, Mary Beard, Alan Bennett, Michael Bond, William Boyd, Bill Bryson, Tracy Chevalier, Lee Child, Julia Donaldson, Neil Gaiman, Mark Haddon, Matt Haig, Robert Harris,Max Hastings, Victoria Hislop, Khaled Hosseini, Marian Keyes, Lynda La Plante, Andrea Levy, Hilary Mantel, Peter May, Ben Macintyre, Alexander McCall Smith, Caitlin Moran, Michael Morpurgo, JoJo Moyes, Patrick Ness, David Nicholls, Philip Pullman, Ian Rankin, Tom Rob Smith, Salman Rushdie, Ali Smith, David Walliams and Jacqueline Wilson. UK publisher support includes Atlantic Books, Bloomsbury, Canongate, Egmont, Faber, Granta, Hachette, HarperCollins, Oneworld, Pan Macmillan, Penguin Random House UK, Profile, Pushkin, Scholastic, Simon & Schuster, Titan, Usborne and Walker. Waterstones is the UK and Eire’s leading high street bookseller with 280 shops. It employs over 3,000 booksellers. 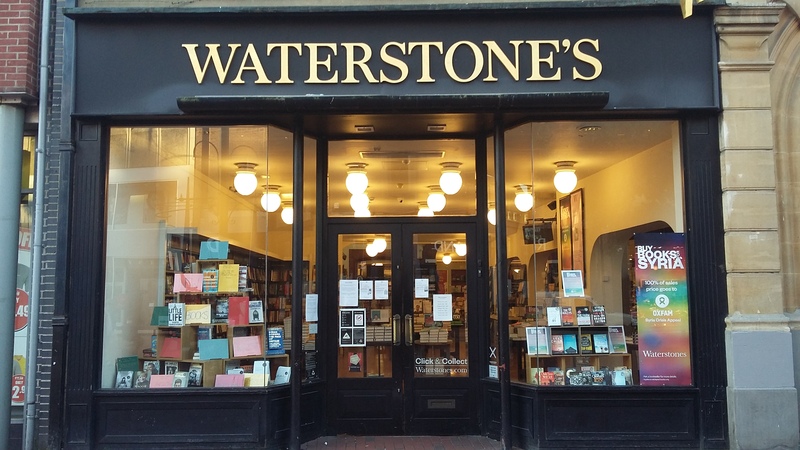 Waterstones is the only national specialist book retailer of scale in the UK, with the average sized shop carrying a range of around 30,000 individual books and with over 200,000 titles in the largest shop. Oxfam is a global movement of people who share the belief that, in a world rich in resources, poverty isn’t inevitable. It’s an injustice which can, and must, be overcome. Oxfam respond fast in emergencies, and stay to help people rebuild their lives. They work on long-term projects with communities determined to shape a better future for themselves. And they campaign for genuine, lasting change. In Syria, Jordan and Lebanon, Oxfam are providing life-saving clean water, sanitation and vital support for hundreds of thousands of families who have lost everything. WIN! 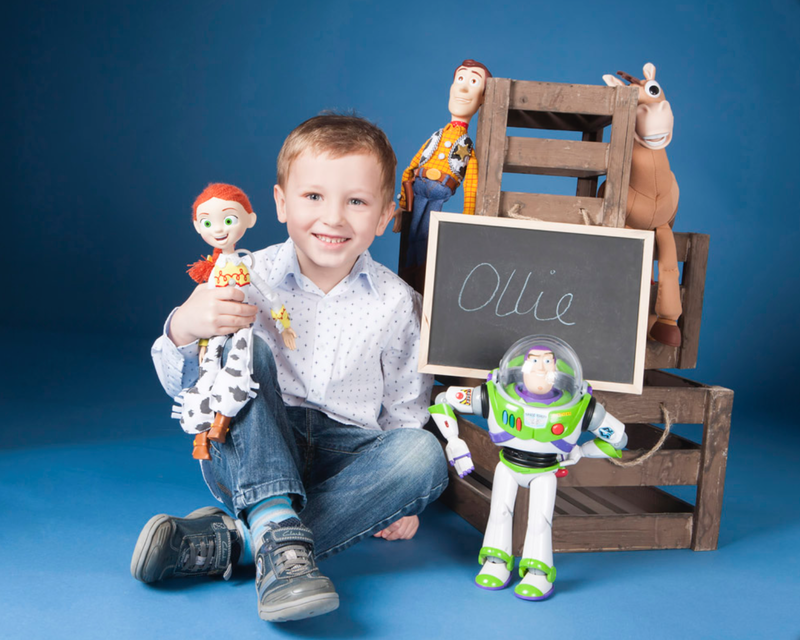 A family photoshoot and canvas worth over £300! 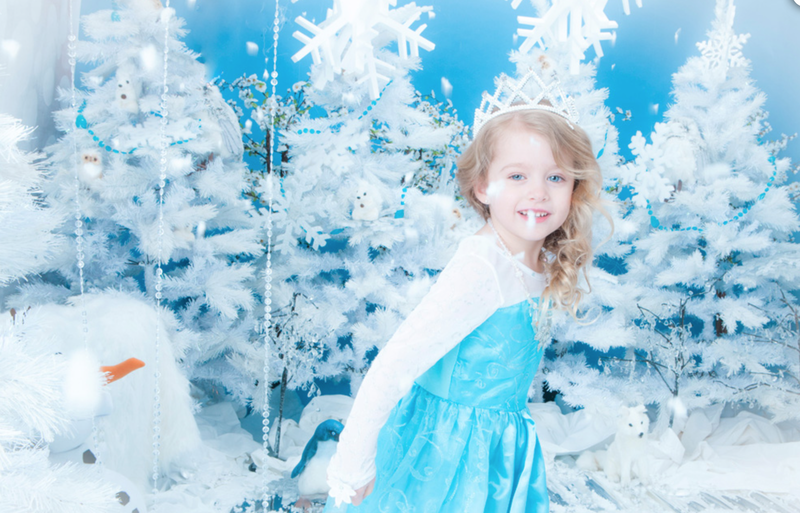 Local photography company, Seven Springs Studios in Aldermaston, Berkshire have a great prize on offer, to help you capture the precious time you spend with your family this autumn. A photoshoot for one family portrait on canvas worth over £300! We also have 10 runner up prizes for a photoshoot, including a 5×7 print. Please note, to ensure attendance for winning photoshoots, Seven Springs do ask for a £25 fully refundable deposit at the time of booking for each photoshoot. Competition closes on the 18th of October at 12pm. Seven Springs Studios will randomly pick the winners and contact them to arrange their photo shoot. Seven Springs hold the right to redraw winners if there is a failure to respond 14 days after making winning contact. Entrants must be 18yrs and over and is open to UK residents only. No traveling expenses are offered. 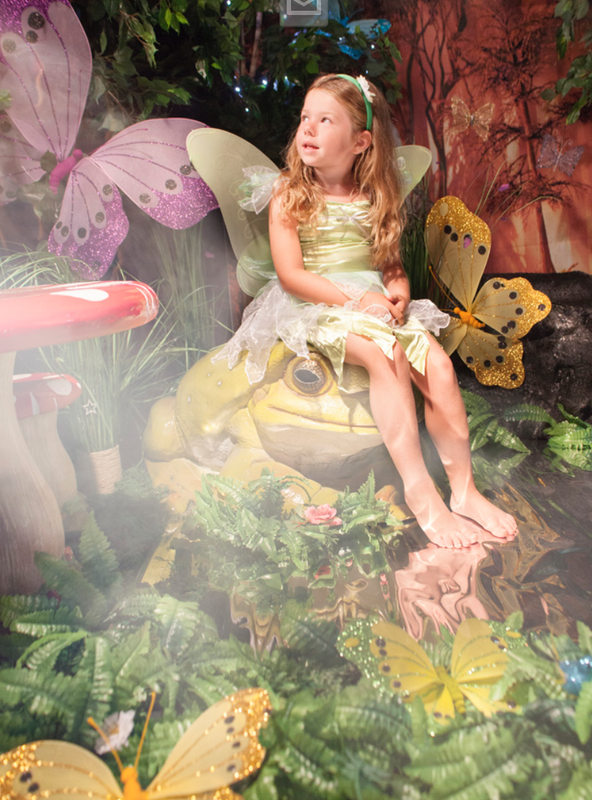 Do your children love a dig around the garden or potting a new plant for the summer? Well then be sure to check out these fun Gardening Inspired activities this summer holidays, across Berkshire! 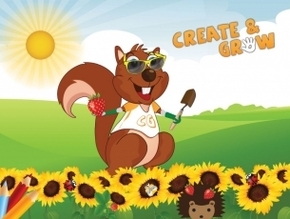 Squires Garden Centre over in Windsor, have some fun activities and events on to keep the little ones amused this August. Create and Grow Your Own Strawberries Workshop on the 14th and 17th of August – Where kids can first add some glitter and sparkle to a pot before they fill and plant it with their own strawberry plant! See here for full listing. Create and Grow Cress Workshop on the 24th of August. Give your pot some character and some goggly eyes before planting your own harvest of cress. See here for full listing. Get the Buzz. 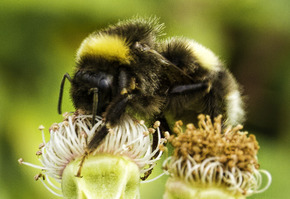 At Woolley Firs Environmental Educational Centre you can find out the buzz on Bee’s! Buzz over to Woolley Firs to test your taste buds with different types of honey. Make a bee, see like a bee and collect pollen for a prize. Learn how to help bees in your garden and sow a bulb or wildflower seed to take home. Activities suitable for 4-11 year olds. Full listing here. Little Diggers Club – If all this gardening has worked up an appetite, check out some of these yummy garden cooking events happening at Wyevale over in Binfield. Flower Pot Bread – Bake your own seed and honey bread in a flower pot and see how it grows! 12th of August. Bug and Butterfly Bakery – Bake a chocolate sponge cake and decorate with green lush coconut grass and yummy icing bugs. 18th of August. Pizza Party – Make your perfect veggie pizza garden with a rainbow of delicious ingredients. 25th of August. You can find more on their website here. Do you know of any fun Gardening happenings in Berkshire over the holidays or beyond? Be sure to share in our comments if you do! The sun was shining in our albeit brief experience of summer a fortnight ago and we had some family guests over from Australia who were keen to experience some English fun and days out, so when the lovely people at Royal Ascot got in touch with us, offering us the chance to come down and experience their family fun day, we leapt at the opportunity. 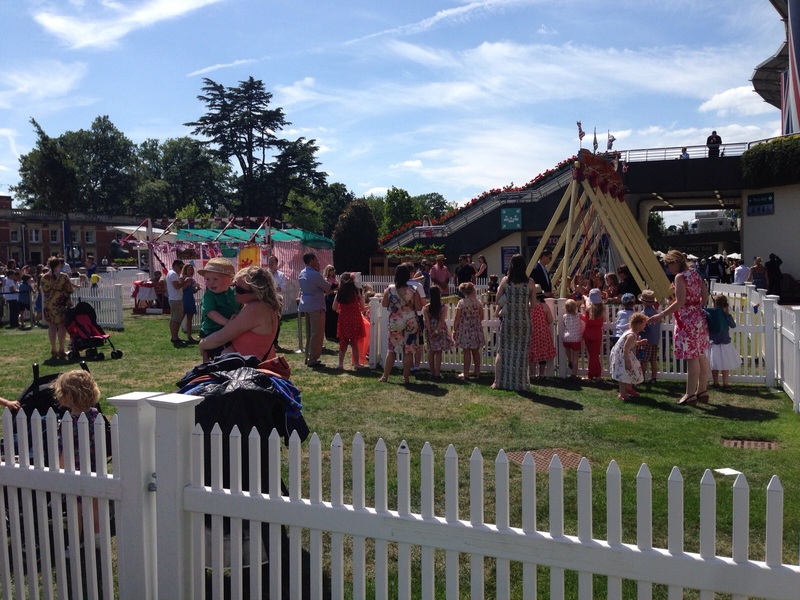 Royal Ascot is an impressive structure, the kids who had been talking and jumping excitedly from the car, drew silent on arrival when they saw the big buildings and huge union jacks. It wasn’t long before they were back to leaping with excitement though when they saw all the fun on offer. To the right of course was the family fun area which was fantastic on such a beautiful day. Included in our entrance tickets was as many goes as we liked on (obviously whilst queueing with others which naturally slowed the kids down a tad!) a giant inflatable slide, teacup waltzer, fairground swings and coconut shy. There was also a soft play corner for the little tots and a huge picnic area in the theme of Teddy Bears Picnic, with toadstool tables, giant garden beanbags and benches galore. 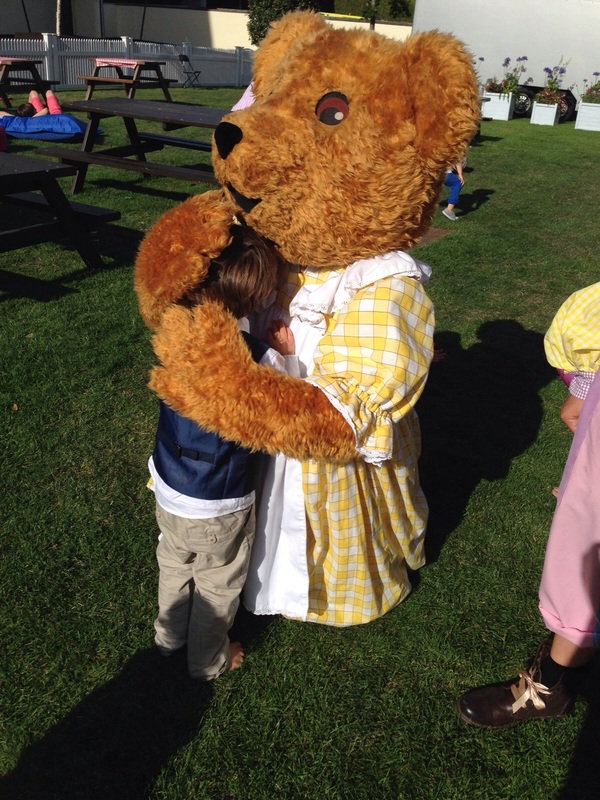 Also to be enjoyed around the area was a big character teddy stopping for cuddles, appearances from The Gruffalo for story time and meet and greets and even the chance to meet a retired race horse. The whole day saw me snapping photos away like a paparazzi of the kids, with so much excitement on offer that sadly I ran out of battery just as the kids got their arms around the cuddly Gruffalo strolling around. If not enough we also spotted jugglers and a man creating the most gigantic bubbles, that truly entranced the kids. 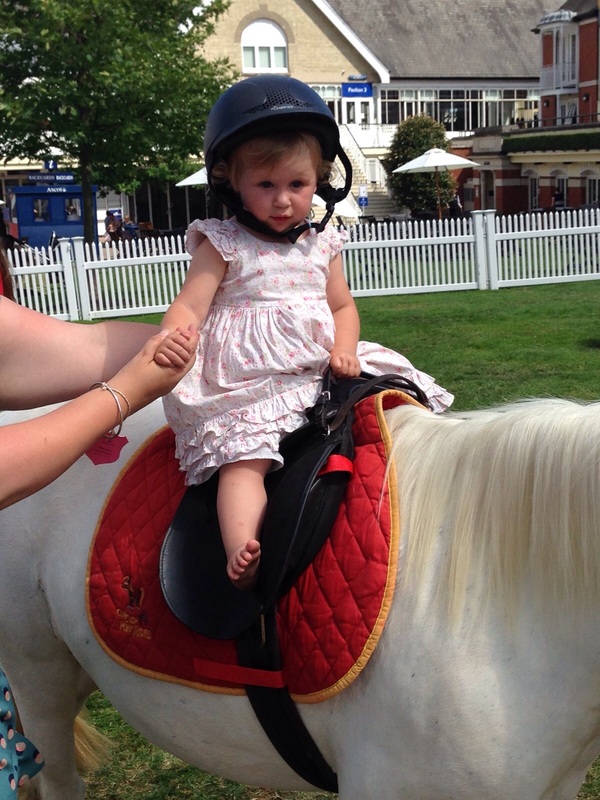 Our absolute favourite part of the family enclosure though, was the pony rides. 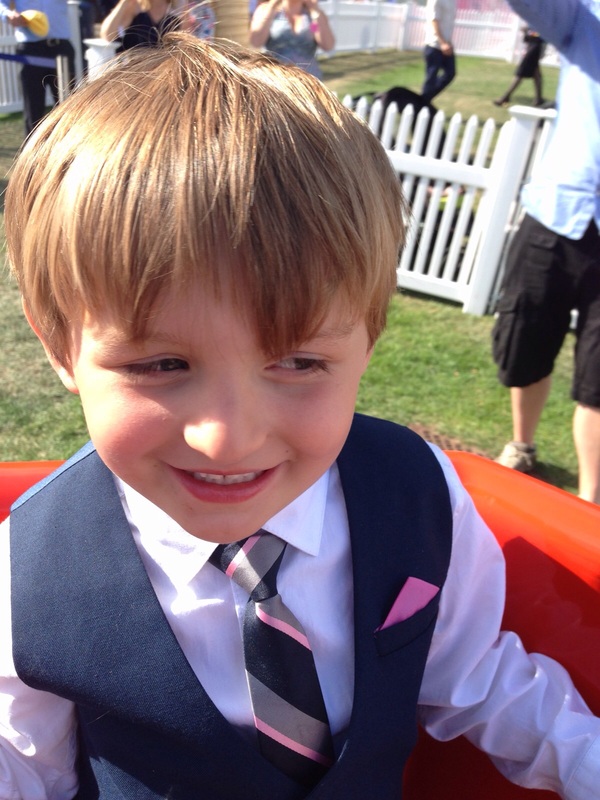 Eldest wasn’t too sure on a ride (after seeing a horse race, he feared they may go galloping!) but youngest was chomping at the bit! 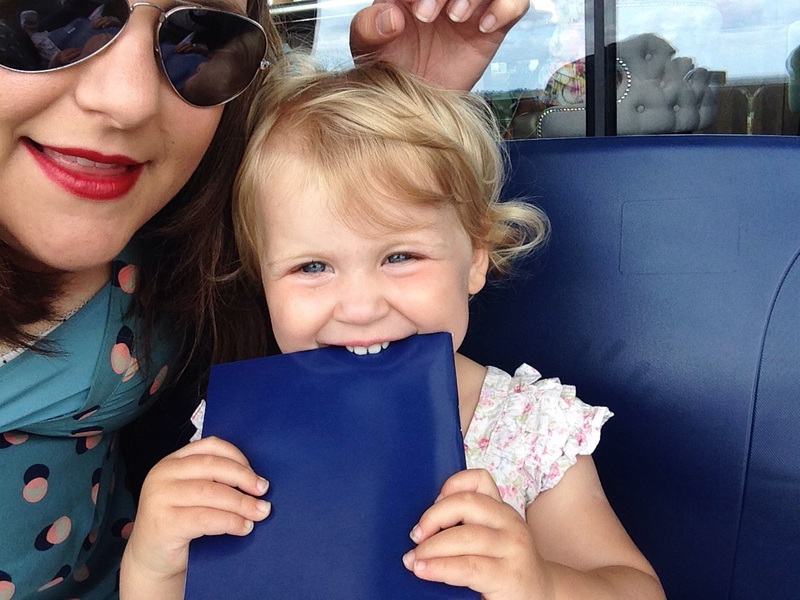 Joining the queue, she was giddy with excitement and squeals of “Horsey Pony!” A little nerves hit when she went to climb the saddle of the beautiful Samuel but after a stroke of the mane, she happily climbed aboard and loved every minute of her lap. The only tears came when she had to get off. 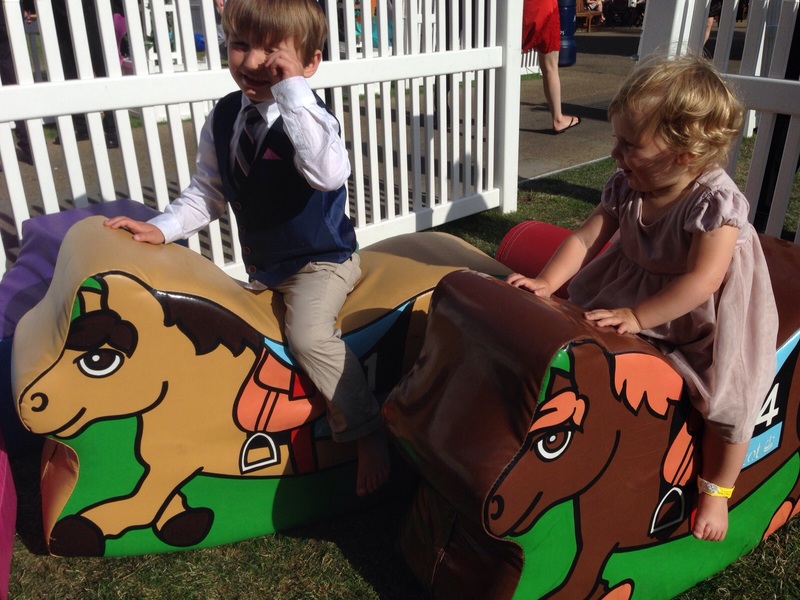 To have the chance to let the kids experience a pony ride, all inclusive in our entrance ticket was unbelievable. We’d been wanting to get the kids on a horse for a while now but feared it may be a waste of money if they got spooked at the last minute (as eldest did!) so this was brilliant. We had the chance to go in to the Premier area, which brings with it a dress code including jackets and ties for the men and no denim or trainers for all. Getting suited and booted for the day was great fun. These days our finery is left sat in the back of the wardrobe waiting for a wedding invitation or very occasionally a landmark birthday in the family. So we enjoyed a trip to the shop to pick out a dapper little outfit for Eldest and a dress to shin for Youngest. The beautiful Premier space also served as the perfect space for our Australian guests, who at a slightly older aged, enjoyed the chance to sit down and enjoy the races in comfort. Food was another favourite of the day, as we treated ourselves to a humongous portion of fish and chips each. 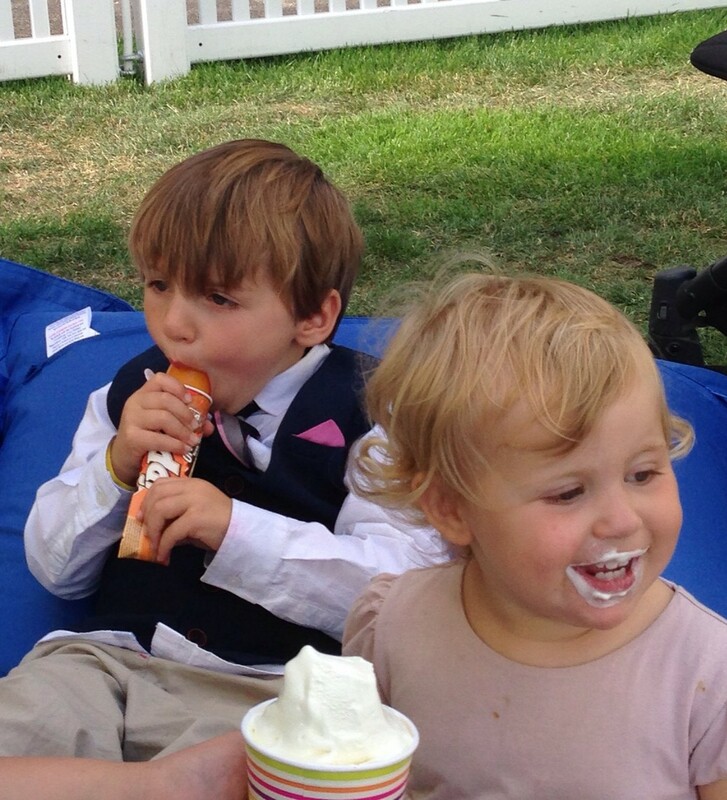 Although that said, a 21month old, some ketchup and my finest silk dress wasn’t the greatest combination I had planned out but it certainly was tasty, as was our ice cream at the end of the day in the Picnic space. Eldest loved watching the mechanics of the race, the horses lining up, looking at the names of all the horses in the book and giggling at some that made him laugh. He enjoyed picking the name of the one he thought may win and watching the race play out. 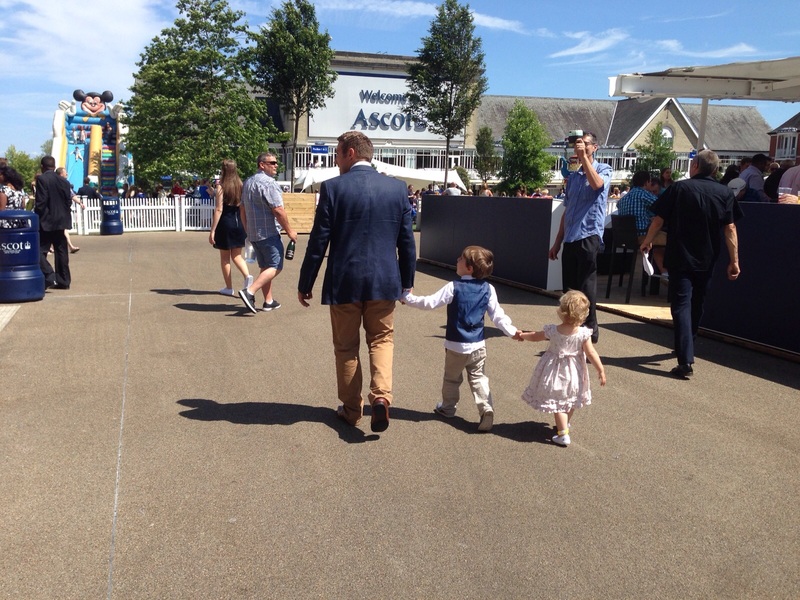 Then going down and seeing the winning horses after a few of the races was a real hit for him too! Ultimately the best part of the whole day though, was those working at Royal Ascot. The staff from the minute we stepped through the gates, till the moment we left were incredible to us and the children. Everywhere we went staff would stop and ask Eldest and Youngest if they were having fun and engage them in conversation. They were endlessly helpful when it came to finding our way around the course, finding baby changing and bathrooms for a toddler in a last minute toilet dash and helping our older guests who needed a little aid in some of the accessibility. Security runs the entire venue making you feel comfortable and safe as a family when there is a large amount of alcohol around, but not one of the staff were intimidating and Eldest was quite enamoured with the bowler hats they all wore. There will be fairground rides, a Halloween parade and various other children’s entertainment at the October meeting whilst in December there’s plenty of festive fun including the chance to meet Father Christmas, story telling with Mrs Christmas, funfair rides, reindeer and carol singing to round off the day. All alongside the racing. 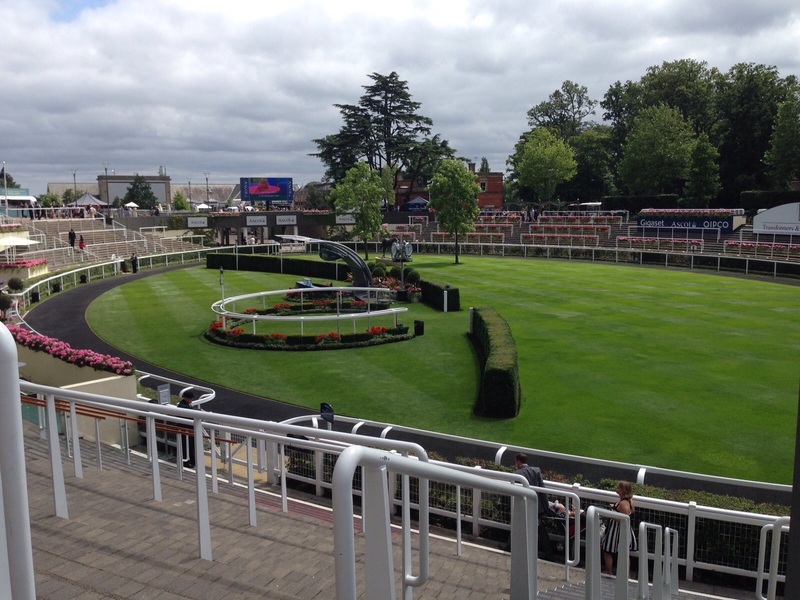 More appropriate for older families is the Dubai Duty Free Shergar Cup and Concert on Saturday 8th August. Where racing is followed by a free evening concert featuring Lulu, Rick Astley, Razorlight, Blue and Hayseed Dixie. 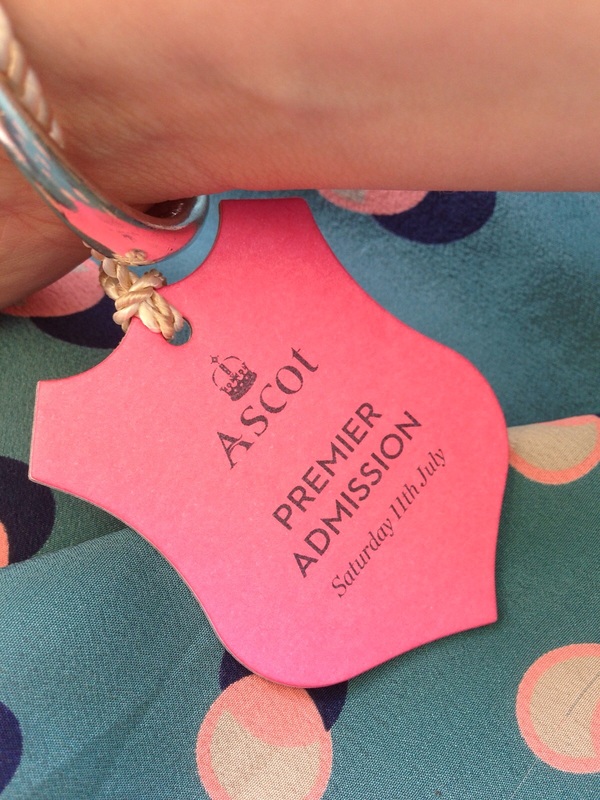 We were invited to come down an enjoy some complimentary tickets with Royal Ascot in exchange for an honest review. 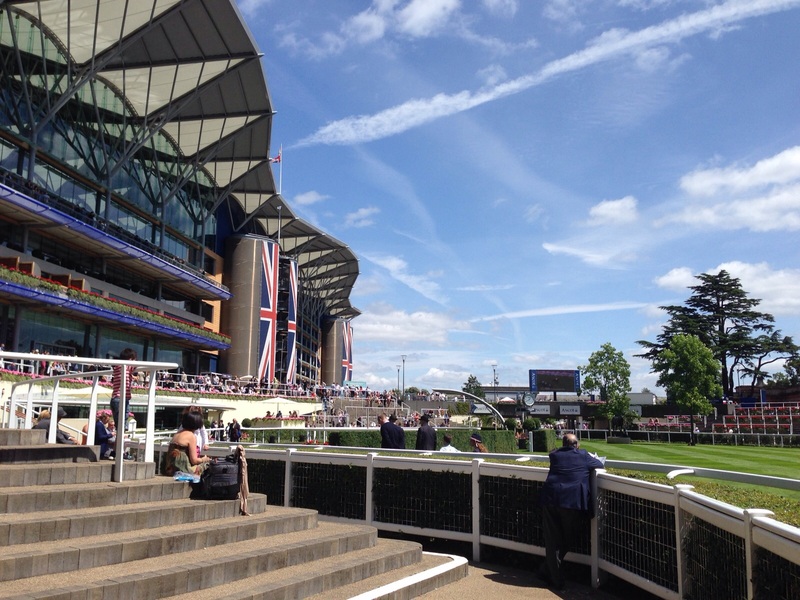 We send out a big thank you to all the staff at Royal Ascot for a wonderful opportunity. News, reviews & events in Essex. Helping parents and children to learn together through play and fun! Local life by a local parent. Whats On, Things to do, Attractions, Competitions. Add your Event or Business to our FREE listings. Go on, have a nibble! RDG 4 ME is all about all of us helping to make Reading a better, cleaner, more rewarding place to live and work and play. Little changes, big difference.